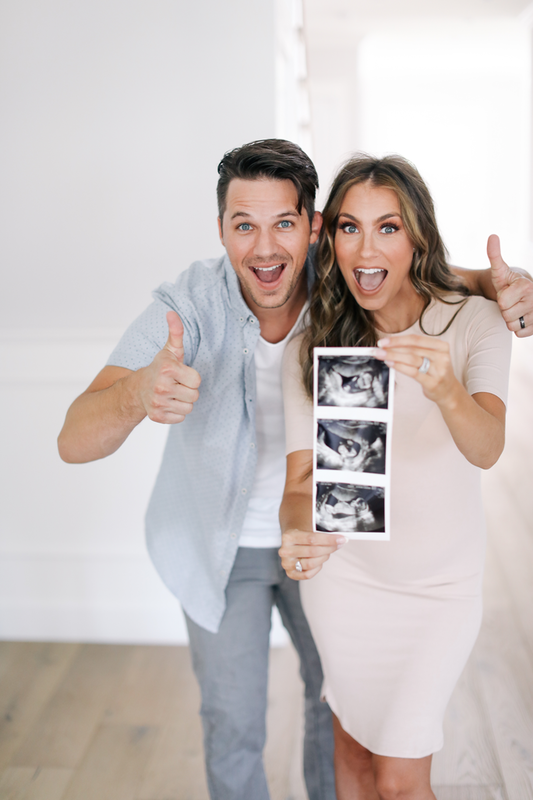 We’re Pregnant… Baby Lanter on the Way! I’ve never known if I would actually get to say the words, “we’re pregnant.” As you all know, I’ve battled with Endometriosis now for +10 years, so I never thought that getting pregnant would be a breeze for us. When that pregnancy test showed up positive, shocked doesn’t begin to explain my feelings. After a trip to my surgeon back in March, I was planning to have another laparoscopy this summer… That’s when God laughed and said He has other plans for us. The very next month I was pregnant! Matt and I are overjoyed to be entering into parenthood. We’ve always dreamed of having our own family. This secret has been the hardest we’ve ever had to keep. I’ve been bursting at the seems with joy, wanting to tell my Gorgeous Family for so long, but we wanted to wait until the time was right. Now that we’re safely into the second trimester, I am thrilled to be able to share the news! My first trimester was a little rough. I was sick before I even found out that I was pregnant! Every single symptom I’ve had has served as a reminder of the miracle God has given us. I’m now four months along and started feeling the baby move for the first time just a couple days ago. Hearing the heartbeat for the first time, seeing our first ultrasound and feeling the first movements have all been moments that we’ll never forget! Now for the second big announcement… From the very beginning, we knew we wanted to share our journey with you, so we decided to document our thoughts, feelings and all (and I do mean ALL) of my symptoms with you through a podcast. Matt and I have been secretly working behind the scenes for over a year putting together a different podcast, but once we found out we were pregnant, we completely shifted gears and decided to share THIS journey instead. I’m being more open, honest and vulnerable in this podcast about my pregnancy than I ever have been before. 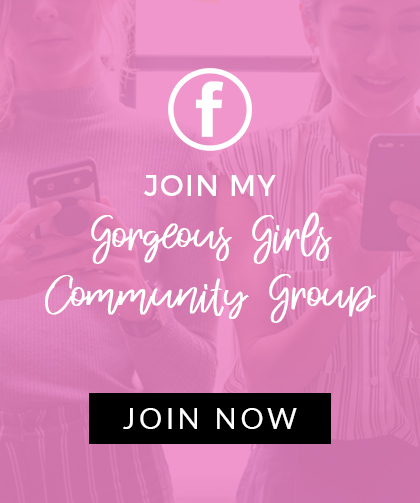 If you want to know all the details (good, bad, and ugly!) and hear us tell it like it is, then click below and please subscribe. I think you’ll have a laugh or two with us as we dive into uncharted waters (for us). If you want to hear the whole story about how it all went down… From me finding out, to telling Matt, to my first doctor’s appointment… Then subscribe to our new podcast and follow along on this journey with us. 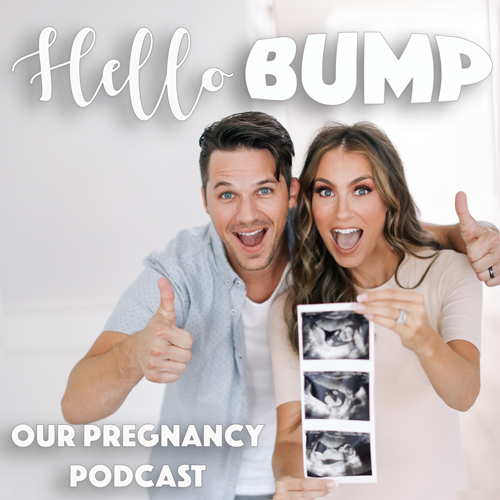 We’ve recorded an episode every week of our pregnancy, and will be sharing a new episode weekly. This way you can come along on this journey and learn right along with us. Next Post Last Day to Shop the Nordstrom Sale! Congrats to you both!!!! Such exciting news and I can’t wait to listen to the podcast!!! God bless you both along these months!!! Congrats!!!!! These photos are so beautiful and this is so wonderful! I’ve been following your blog for years and I’m so happy for you and Matt! You’ll be such great parents. lots of love from France ? Congratulations to you and Matt! OMG Congrats! So so happy and excited for you and Matt! Best news ever! Saw your posts on instagram! Motherhood is fun! Hard work and stressful at times but fun and rewarding! My son is going to be 3 next month. Time flies by fast! I can’t wait to see you post about baby stuff! I love Target, Old Navy, and Carters for baby items, clothes etc. Where I live there aren’t tons of stores for baby stuff. Those 3 stores I shop the most at. Good thing about Target is they seem to always have sales on baby items and can get giftcards with them too. Also use the Cartwheel app to save on baby stuff. I love Cartwheel! I saw that Nordstroms had tons of cute baby boy and girl clothes and items! You and Matt will make wonderful parents! I am going to listen to the podcast! not to mention a blooming stunner! Ahhhhhh!!! Such exciting news!! Congratulations to you and Matt! I have read all your fertility related posts on your journey and I also was diagnosed with endo a few years ago….so I am so happy for you guys!!! God is faithful. This gives me so much hope! We have been married for 7 years but have put off having kids because my migraines have been out of control for several years. With my endo diagnosis and migraines, it has been a very dark period in my life and I have felt like my life is on hold. This post just lit a small spark of hope for me and is a reminder of His faithfulness even in the darkest of times. I am so excited that you are sharing your pregnancy journey with us! That is one thing I have always really appreciated about your blog, your vulnerability and authenticity in life’s ups and downs. Omg!!!!! Congratulations!!!! Ok so not to be totally weird, I had just looked at your instagram post with that off the shoulder blue and white striped dress on the boardwalk on the beach and I thought to myself I think she’s pregnant! Your last few pictures you’ve definitely had that beautiful pregnancy glow! It looks great on you ! I’m 30 and have 2 little girls (3 yr old & 1 yr old) and motherhood has been so much fun! I’m excited to follow you guys on this journey! It’s one of the best ones you’ll get to experience! Thank you for letting us in on this! Omg!!!!! Congratulations!!!! Ok so not to be totally weird, I had just looked at your instagram post with that off the shoulder blue and white striped dress on the boardwalk on the beach and I thought to myself I think she’s pregnant! Your last few pictures you’ve definitely had that beautiful pregnancy glow! It looks great on you ! I’m 30 and have 2 little girls (3 yr old & 1 yr old) and motherhood has been so much fun! I’m excited to follow you guys on this journey! It’s one of the best ones you’ll get to experience! Thank you for letting us in on this! Sending so much from good ole Indiana! ? I’m so excited for you both!!! So exciting! Congratulations!!! So happy for you, Matt, and your little miracle! You will be great parents! I am so happy for you guys! I have been following you for a long time and I am overjoyed for you! Congrats to you both! Motherhood is the best journey ever! ?? I’m so excited for you and Matt! I can’t wait to continue to follow you along this journey. I pray that you have a safe and healthy pregnancy. May God continue to bless you all! The podcast is awesome! I’m cringing as the news of Timeless is revealed, then smirking because I’m like “welp back to Vancouver you will be going” ? (Thankfully because we LOVE Timeless!) then as a practice manager of an IVF practice I’m teary eyed at the blessing, because with your history it would seem it would be a difficult time to get pregnant…I’m filled with such excitement and joy for you both!! Thanks for Hello Bump and sharing yourselves in the manner that you are choosing to do!! Love it!!!!! Omg congratulations!! How exciting! Prayers for a safe, easy rest of your pregnancy. We get to be pregnant together! I’m 21 weeks. This is baby number 3 for us, one boy one girl so we’re team green! I can’t wait for your podcasts. Omggg what great news to wake up to this morning! So happy for you guys! Sending love and prayers your way! ANGELA! I knew this was coming, I’ve just had a feeling! Congratulations to you! I’m almost 25w pregnant with our first baby boy, after a whirlwind year of trying to get pregnant + experiencing two pregnancy losses. I’ve started sharing my own pregnancy topics on my blog, and I can’t wait to see how this amazing journey influences your blog! Just finished your first podcast and I cried lol. It’s a beautiful, amazing journey and it just gets better ? I can’t believe how cute your bump is! I didn’t really show until 18-20 weeks and it’s so fun to have it be a definite bump (versus a cheeseburger and coke haha!). I’m just so excited for you, congratulations!! Congratulations!! So excited for y’all! Also super excited about the podcast. I was just listening to your episode with Jamie Ivey and thinking, “Man she should do her own!” Looking forward to following you there as well! Congratulations again you two!!!! ❤️❤️❤️❤️❤️❤️ (And I guess my math isn’t correct… I asked ‘A December Baby?’ on Instagram ?) Excited to take this journey with y’all! Hello, Baby Bump! Oh my gosh, that is so extremely exciting. Congrats to you both. Oh my gosh! I’m so excited for you guys! I’ve been taking an Instagram break but my husband follows Matt and just called to tell me. Congratulations! We had our first baby in 2016 and it is the most wonderful thing! So excited to follow along with your journey via the podcast! Thank you for sharing your journey with us! Praying for all three of you! Wow! Congratulations I’m so excited for you both!! I just had my first baby, a daughter, on March 7th and it’s such a joy! Hard work at times, yes, but you will get the hang of it- especially with such a great husband. It’s the most beautiful gift. Can’t wait to follow your pregnancy through your blog 🙂 God bless! Congratulations, Angela! Such great and joyful news. 🙂 Big hugs! Omg!! This is so exciting! I’m so happy for you both 🙂 I’ll keep you and your baby’s health in my prayers. Congratulations!!! Congrats!!!!! So happy for you my Ohio sista! I know I don’t know you personally, but the Ohio thing makes us practically neighbors right? (Even though I live in Florida now. (c: ) Just wanted to give you and Matt a recommendation on an awesome video that my husband and I watched about conception a long while back. Unlike the one you said you watched on your podcast… this one is super amazing and really gives you perspective on that miracle you guys made. Check it out on YouTube. It’s 6 different videos. It’s called The Great Sperm Race. I hope this link came out right: https://www.youtube.com/watch?v=gAnMymnJiLM&list=PLCDECC6C14006053D Congrats again!!!! I’ve followed you more or less from the beginning og Hello Gorgeous and you have no idea how happy I was when I saw the announcement on Instagram! Even weirder is that, a few nights ago, I was watching one of your videos and I swear, I was thinking “I wonder if they’ll have a baby soon” – just a totally random thought. So when I saw your Instagram post today, I was really surprised and I was like “I knew it!!!”. Anyway, congratulations and I’m 100% sure that the baby is going to be GORGEOUS. I’m so excited for you two GORGEOUS people! This is going to be one lucky baby! Gods miracles never cease. Prayers are with you! Can’t wait to follow this journey. Congratulations. So happy for you both. Being a parent will be the most beautiful yet challenging thing you’ll ever do.It’s tough sometimes but your love for each other will only grow. Having my daughter almost 3 years ago was the best thing that has ever happened to my family and I can’t wait to listen to your journey. God bless you and your baby. Congratulations Angela & Matt! I’m so excited for you two! I’ve wondered when and if you guys were going to have baby! You both are amazing and nothing can bring more happiness and joy to life than a baby! As my daughter turned 7 months today, I’m reminiscing on the past 7 month and time truly flies! Enjoy every second! I hope you have a wonderful pregnancy and even at rough times know that having a baby is going to change your body in so many way. And once he or she is here it’s going to change your world! I can tell you and matt are going to be wonderful parents. After listening to the podcast you two are the sweetest! Best wishes you both! I am so excited for you! I can’t wait to hear your due date! We are due with our first baby on January 6, 2018!! It’s a girl!! I can’t wait to hear what you are having!! My baby is an ivf baby, after losing my Fallopian tubes to endometriosis last year!! So there are lots of Miracle babies brewing! This is SO SO good news. Waited this for happening. So happy for you guys! Congratulations to you both, children are a true blessing! You will both be amazing parents, remember to cherish every moment even the rough ones! We just had baby #2 and seriously can’t believe she is already 4 weeks! So excited for you both! Can’t wait to follow along on your journey. I was having a rotten day and then I saw this. Such amazing news! This was a great way to put my crap day into perspective. Absolutely going to be listening to every episode!! congratulations!!!! your baby is going to be SO BEAUTIFUL!!! Congratulations!! It’s such a wonderful blessing, and I’m so excited to read and hear about your journey. My baby just turned 1, which is so hard to believe. It truly does go by so fast. Love love love that we get to follow on your journey. Loved your first podcast, although I really would like to hear how you both met, I know every relationship has its struggles but yours always sounds so fairytale. Loved your announcement photos too, such a cute idea. My family is complete now with two beautiful girls but I like to think in another lifetime, I’ll have the foresight to document each stage properly as it goes SO fast. This is amazing! Enormous congratulations, I’m so happy for you and Matt! Congratulations! I started listening to your podcast in the car on the way to the gym. Listened to it at home while eating breakfast and even my husband got interested! We prayed for you guys at the end. So excited for your new baby! Oh my goodness! Congratulations to you both!!! As I said on Instagram, I was literally crying when I found out you were pregnant, and reading this again got a tear or two in my eye. You are two of the most amazing people I have ever gotten a girl leaguer of watching online (or even knowing). The light you have, the light you share with the world is so important and warm and beautiful, you deserve all the happiness in the world and many many many more children because our planet needs this kind of love and positivity. I wish you all the happiness and send you all my love and even a little bit more across the world from Russia. Thank you for all the amazing moments you have already shared and here’s to those exiting things that are about to happen. It is such a joy to watch your family grow as much as your love for each other. I have never met you but I have so many warm feelings towards you, I just honestly wish I could hug you, ahah. SOOOO happy for you guys for both exciting adventures! Thanks for always taking us on for the ride!! Lori, my twin sister, is a mom of 2 girls and even though it has it’s hard moments it’s the best! Congrats! I’ve been watching your YouTube channel for a few years now and couldn’t be happier for you guys! I also suffer from endometriosis, have had the surgeries and 9 months ago had my first baby! Oddly enough, when I was pregnant (I was so sick the entire pregnancy-ugh), I had a bartholin cyst that had to be lanced (while pregnant so there wasn’t much they could give me!) Holy moly that was painful!! Anyhoo, congrats again! So happy for you guys! CONGRATS! I’m a recently new mom and being pregnant was one of the best times of my life! The good, bad and ugly that came with it just made me appreciate that little miracle inside me. Enjoy these precious months because they FLY by and before you know it your little one will be two months old ? So elated for you and Matt! ? I am so excited for you guys!!! My husband and I have decided to try for another child. I am excited to hear all about your journey and maybe learn somethings too. Huge congrats. I took Garden of Life raw prenatal vitamins and they never made me sick. They were wonderful and they’re food based so easy to digest and absorb. Hi! What tanning products did you use while pregnant?